We should all take a few minutes and consider the potentially great reasons why adventure and travel can be so good for us. Why breaking away from routine and everyday life is exactly what the doctor ordered. Why getting away from it all will bring a new sense of peace and joy to our hearts, minds, bodies and souls. The possibilities are endless and the ability to gain from an adventure is unparalleled. Although our society as it stands today thinks we are best off living in a metaphorical bubble, what we all really need sometimes is to become one with nature. We need to get dirty. Go camping, hiking or fishing. Climb something, walk a nature trail, spend time on the water. Whatever it is, let yourself forget about the suits you have to send to the dry cleaners once a week or the hand sanitizer strategically placed all over the office. Medically speaking, you'll thank yourself and science has proven this to a T. Those who are willing to get a little dirty and pop that invisible bubble are actually less susceptible to allergies and disease. No matter how you slice it, taking ad adventure to the great outdoors will benefit you on every level possible. We are never too old, too busy or too set in our routines to leave it all behind for a while. There really is no such thing as "not having the time". We have the rest of our lives to go out and see what we otherwise close ourselves off from in our cubicle. Whether we are 20 years old, 70 or anywhere in between is irrelevant. The time is now to go out and really live life. Whatever we feel is holding us back from living a little can probably wait. Finding peace, serenity and a break can't wait and it is all out there waiting for us. We only have so long on this earth, so live it up. Often we end up worrying and stressing over, well, far too much. Studies have shown, however, that when we purposely go and adventure travel we will learn to not worry so much about the future. We can live in the moment when we are on an adventure, not having to think about what may happen next. This too will carry over into our "normal" lives back home, with enough practice. We can learn to live one day and even one moment at a time. In turn, we will find how much less stressful things will feel. The same issues may arise, but how we are able to handle them will change. In turn, we are also able to let go of who we "normally" are and, even if just for a moment be someone else, anyone else. We can forget that we sit behind a desk all day staring at a computer screen and instead be that guy that climbed a mountain or caught a giant fish. We can enter alternate realities, thus altering who we are, even if it is ever so briefly. When we go through our everyday routines and abide by schedules, we are giving ourselves little to no opportunity to think about how we are feeling. We become robots in a sense, doing what we have to do from the time we get up in the morning to the time we go back to sleep at night. Everything is structured and there is order to it all. We are so focused on what we have to do, when we have to do certain things, how much time we have to get it done and what is coming next on our little agendas. Taking time away from appointments and deadlines, alarms and time cards gives us the chance to reflect inwards. 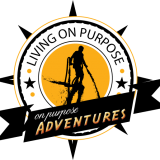 Going on an adventure travel experience lets us focus on ourselves and what we are doing right then and there to make ourselves happy. It is no longer about making the boss happy or getting home from work by dinner or getting up in time to start the day. We have an ample amount of time when we are embarking on adventure to instead focus in on our feelings, emotions and passions. We can really let go, take our watches off and enjoy each and every moment.